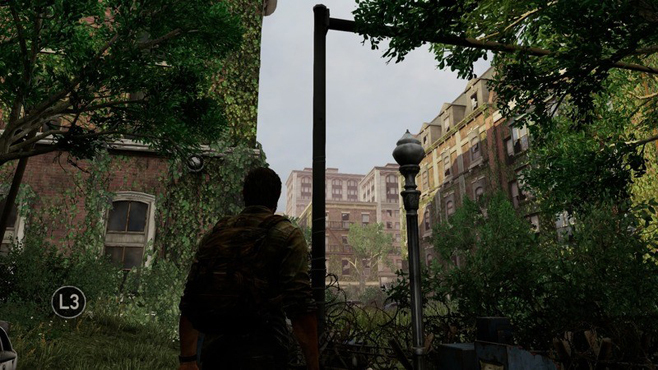 In 2013, when Naughty Dog released The Last of Us to gaming fans, it was an instant hit. Metacritic shows the original game is sitting comfortably, with a 95% rating. The 2014 remaster release carries the same rating among fans. Fans of survival horror games were treated to something unique in the genre. Gone were the static backgrounds, the slow, lumbering, enemies and magical storage boxes that would inexplicably – unrealistically – drop when an enemy would die. No, The Last of Us took just about everything we knew about survival horror and threw it out the window, paving its own path with new horror tropes not used previously. The Last of Us Part 2 is making waves for all the right reasons here lately. Fresh content, new teaser images and video, and just enough information is being leaked to keep fans champing at the bit for more. Naughty Dog knows they must keep fans interested, there is stiff competition in the survival horror genre and the sequel to their hit game is not due for a while (no one knows for sure when but 2017 does not seem very likely at the moment). Capcom are credited with starting the modern survival horror genre when they unleashed Resident Evil on the original Sony Playstation console in 1996. Prior to that seminal release though, Infogrames (now known as Atari) released a little horror gem called Alone in the Dark for computers (and later home consoles). Survival horror games have come a long way since that release. Capcom has re-released Resident Evil with various improvements for many consoles over the years including complete overhauls for the Nintendo Gamecube and PCs. Resident Evil 7 recently passed 3.5 million copies sold – 21 years after the original debuted. Quite a feat for any company. Resident Evil 2 on the PSOne console still holds the number one sales spot for the franchise, sitting at just over 5 million copies sold worldwide according to VGChartz. The enemies have learned a few tricks over the years and the story has left the stuff old mansion behind. Current survival horror games have evolved from the days of lumbering zombies hungry for brains. Horror movie clichés are back with a vengeance and now it is your fault those characters are in those positions. Until Dawn puts emphasis on later parts of the game based on decisions made earlier – far beyond the simple mechanics presented in Resident Evil where you may face a forgotten zombie as you backtrack to solve puzzles. Finding a weapon early on in Until Dawn may give that character a chance at survival later. Players face sacrificing one character to save another and many other moral and ethical dilemmas. The upcoming game based on Friday the 13th gives players the choice of playing the killer or the people trying to survive, again changing the dynamics of survival horror. Recently it became known that Naughty Dog were expanding the team working on The Last of Us Part 2. This includes adding Halley Gross to the writing team. Ms. Gross is well known for her work on HBO’s hit show Westworld. She wrote “Trompe L’Oeil”, episode seven of the series, which holds a 100% rating with Rotten Tomatoes. Her involvement with The Last of Us Part 2 has certainly added gasoline to the fire this upcoming game is creating with fans. The story behind the survival horror action must be top notch to capture audiences. No longer can games rely on simply having zombies and guns, and certainly not so from a title that reinvented the genre. Fans have evolved beyond the basic themes that started the genre. 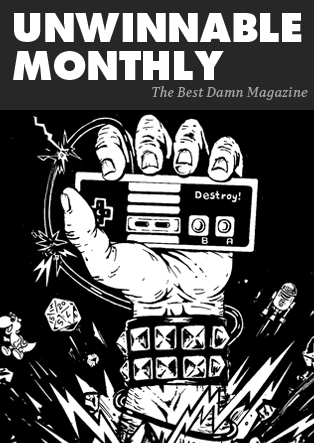 The world of horror requires even more today to stand out against the stiff competition. Lost Vegas by Bet Way, an online multi-line slot machine, brings together the genre of horror gaming and casino gaming. Infected humans have taken over Las Vegas and you must fight your way out of the city as you face off against mutant show performers, tourists, and other denizens of death. H.P. Lovecraft is a popular source of inspiration for survival horror gaming, proving that zombies are not always the way to go for this genre. Conarium by Iceberg Interactive takes horror to the ends of the Earth placing the events in Antarctica. Considering it is based on Lovecraft’s Cthulhu Mythos there will be grotesque creatures and a story line that has twists and turns you never saw coming. The first installment in what is developing to be a franchise, The Last of Us brought new enemies, real humans that were out for simple survival to the mix, alongside infected, overpowered, creatures hell-bent on your demise. 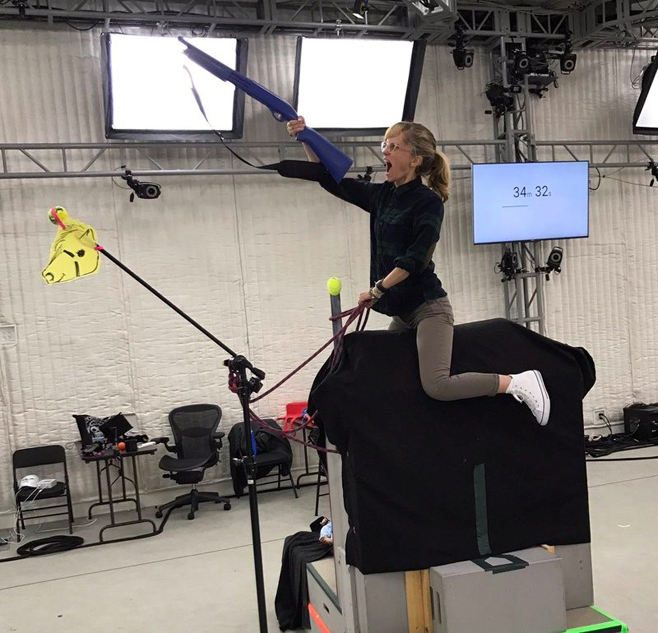 Neil Druckman posted on his Twitter account a picture of Halley Gross atop an assembly that is often used in motion capture for horse riding in games. This is a great teaser that there will be some interesting additions to the sequel. Not content with just one Westworld connection, Naughty Dog has also brought on Shannon Woodward too. She made the announcement via her Twitter account on April 7th. As the actress portraying Elsie in Westworld, Woodward has shown great depth in the role, leaving her mark on the franchise. Now she is bringing her style to The Last of Us Part 2, though we are not sure what character she will be playing. Survival horror gaming in the right hands will evolve the genre as we can see from the work of Naughty Dog. While Capcom’s offerings are somewhat long in the tooth with gamers, fresh faces bring fresh challenges to the table. The Last of Us Part 2 is one of the shining lights that is burning white hot right now, in the survival horror genre. Naughty Dog are making all of the right moves and bringing in the right talent to complement their in-house efforts.